As a geeky nerd, and the mother of geeky nerds I can use both of those terms lovingly. If it’s sci-fi, I probably love it and those gifts are always the most loved during the holidays and birthdays. Have you ever been to Comic-Con? Neither have I, but that would be a fabulous gift. Either plane tickets and a whole vacation around the “real” Comic-Con in San Diego, or a smaller version in your town. I confess to being a little intimidated to go to one. I’m not sure if I have the right outfit, and I still don’t really understand Cosplay! Every holiday I, of course, am searching for something new for the folks on my list so below is a selection of the best deals or most unique geeky stuff I could find. How about a Tardis Ornament for the tree? My daughter is getting this one. She received this Dr. Who Tardis Winter Hat last year and adores it. It also serves as a great conversation starter to bond with other Doctor fans. Planets, galaxies, villains, heroes, the Doctor, the TARDIS and the time vortex–all intricately illustrated in this science fiction adult coloring book packed with original Doctor Who art. With 96 stunning pages to color, plus all the best quotes from the beloved TV show, perfect for any creative Doctor Who fan. This book has nice thick paper and is in the popular square page style. Inside you’ll find the Doctor’s greatest friends and foes from throughout all of history, with original illustrations featuring Churchill, Shakespeare, Van Gogh, Dickens, Madame de Pompadour and much more. Colour in kings and queens, Romans and Egyptians, Viking villages and erupting volcanoes . . . not forgetting the occasional dinosaur on a spaceship. 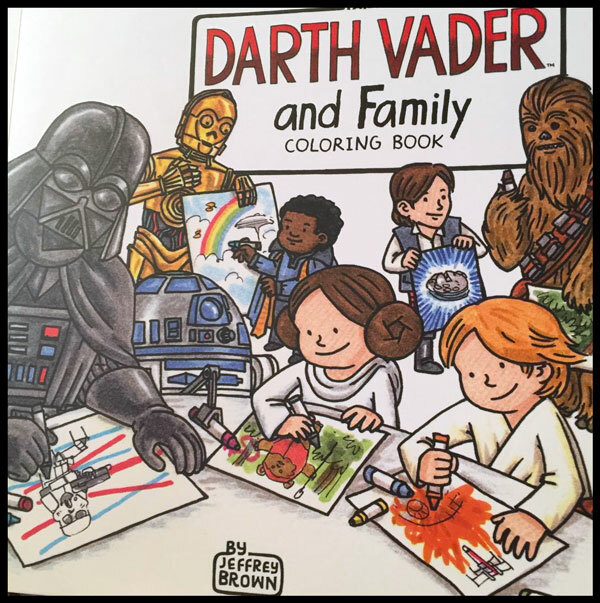 There are also a ton of other sci-fi options for adult coloring books on this Coloring Books for Nerds and Geeks page. “Big Bang Theory” is the number one comedy show on TV and Sheldon Cooper is everyone’s favorite geek. If you have a geek in your family we bet they are a fan too. We have scoured Amazon and found the coolest games, bobbleheads, t-shirts and DVD’s that the BBT addicts on your gift list will love. Every Big Bang Theory fan needs a life-size Sheldon Cooper cut out and one of Sheldon’s iconic t-shirts like the melting Rubix cube, Bazinga, Flash or any other of his nerdy T‘s. How about a “Knock knock Penny x 3 ” T-shirt?. One of my favorite episodes of BBT is the one where Sheldon explains the rules of Rock, Paper, Scissors, Lizard, Spock…. over and over again. According to Big Bang Theory, this game has been mentioned in 3 episodes. Twice in season 2 and our favorite in season 5 where the explanation is made. Click here to see T-shirts & Dice games to play. We love how much the Big Bang Theory characters have science fiction shows as guest stars on the show. One of the funniest love-hate relationships is Sheldon Cooper and Wesley Crusher. Remember the episode where they battle each other at the bowling alley? You can have your own “Wesley Crushers” bowling shirt. Do you have someone in your house that has their own spot? I grew up with a father just like that! You were NOT allowed to sit in his chair which was closest to the kitchen and was directly in front of the TV. God forbid if you walked in front of the TV during some horrible science fiction show. Don’t get me wrong, I am a super geeky sci-fi gal, but not ALL of it is good. Anyway, I digress, if you have your own Sheldon clone living with you, you might want a ” “You Are In My Spot” t-shirt or other funny. I think my guy my really need these red Bazinga boxer shorts. Big Bang Theory Talking Sheldon Cooper Doll. Big Bang Theory Trivia Game – Big Bang Theory Game includes Trivia from the show and the characters interests or plays rounds of Rock, Paper, Scissors, Lizard, and Spock. Funko Big Bang Theory: Mini Wacky Wobbler Set, 5 Pieces – Mini bobble heads of Sheldon, Leonard, Penny, Howard, and Raj. Amazon has Funko Big Bang Theory Wacky Wobbler Bobble Heads featuring every character in the cast: Sheldon Cooper Talking Wacky Wobbler, Sheldon in Star Trek Uniform, Sheldon Cooper Batman Bobblehead, Amy Farrah Fowler, Penny, Leonard Hofstadter, Howard Wolowitz, Raj Koothrappali. If I’m having a bad day, the one sure-fire way to get me laughing is to pull out my BBT dvds. I wait a year to get the next one as the price goes down in year two. The best deal is to get all 9 seasons. There is a whole bunch of this Vader series of books suitable for Star Wars fans young and old.